School season is here once again and for me, nothing beats preparing my son to school than giving him a nutritious breakfast to start his day right! Breakfast is the most important meal of the day, they say and I do believe that! When we give our children a healthy breakfast, it fills them with energy to last the day. It helps them focus in school and gives them in good moods. I remember my mom preparing our breakfast everyday before I go to school, and I'm talking about HEAVY breakfast. Now I perfectly know why. Meat: Corned beef, sausage, hotdog, sliced ham, bacon, longganisa, etc. Oh boy, my sons do love cereals, particularly Nestlē Koko Krunch. 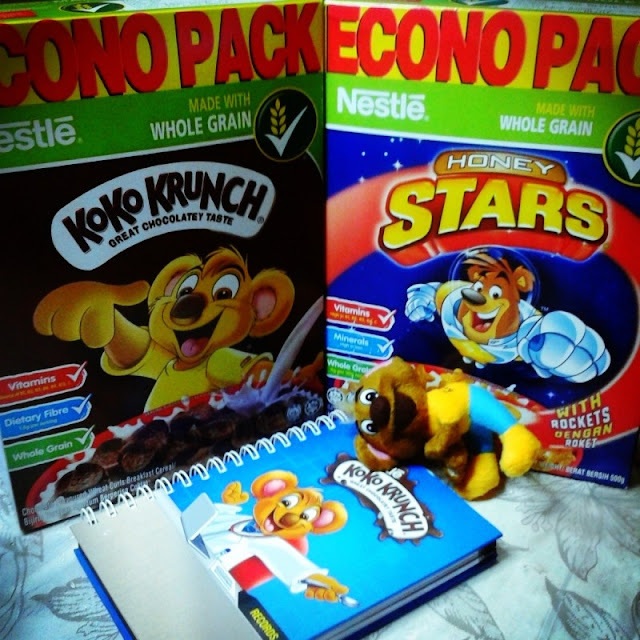 That's why when they saw boxes of econo packs of Nestlē Honey Stars and Nestlē Koko Krunch sent over by Nestlē for the entire family, my elder son exclaimed, "Wow Mommy! That's a giant box of Koko Krunch!" Breakfast cereals are easy to prepare, fun to eat and surprisingly one of the best sources of energy and nutrients, especially those made with wholegrain. I'm not afraid that I'm giving them lesser than what they should get because whole grain actually gives a better energy boost compared to fruits and vegetables. 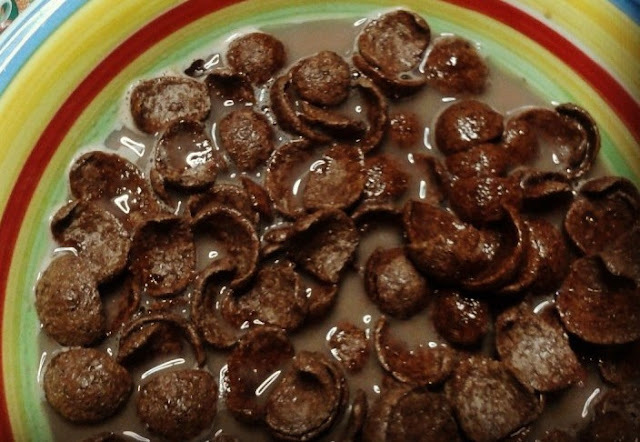 We enjoy our cereals either with milk or MILO. For me and hubby, we just add slices of banana or eat whatever fruit is available with the cereal. My kids love nibbling on it too as a snack! Instead of potato chips or other junk foods, this is a much healthier alternative. 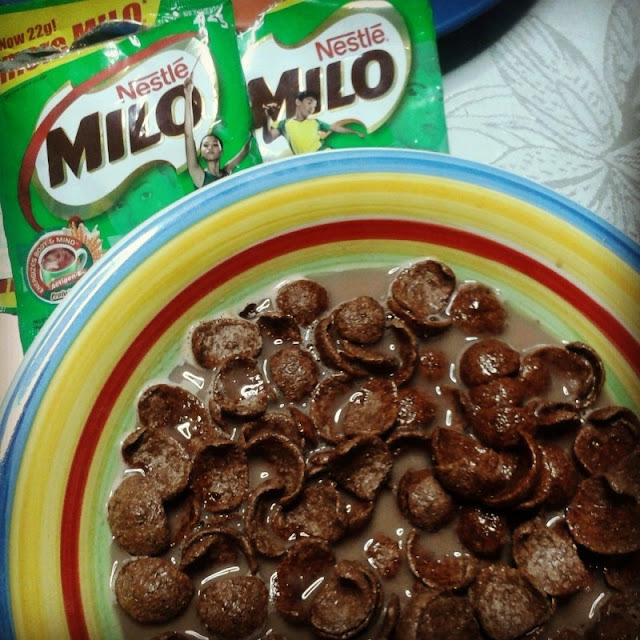 We have our favorite breakfast cereals with MILO. Do you also enjoy cereals in the morning? How do you prepare them? My kids too love cereal like honey stars and coco crunch..but I try to give them less Sweet cereals like nutra grain. Our little Matt starts to love choco cereals too. He used to take it as snack.